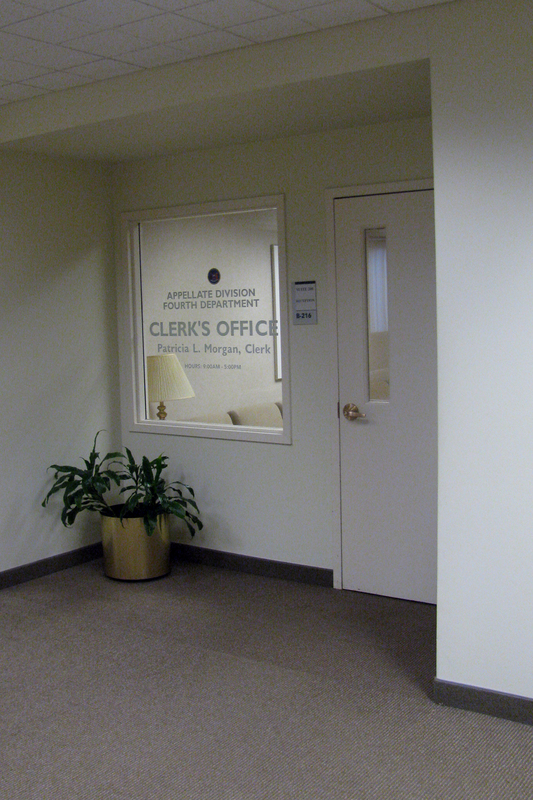 The Clerk's Office provides legal and administrative support for the Court. Staff review records, briefs, motion papers and other filings to determine whether the filings are complete, timely, and otherwise comply with the rules of the Court. The Clerk's Office staff is responsible for the calendaring and scheduling of cases and proceedings, distribution of filings to the Court and preparation of orders implementing the decisions of the Court. Additionally, staff respond to inquiries from members of the bar and public regarding Court procedures, rules and calendars. Members of the Court's legal staff serve as speakers at continuing legal education programs offered by bar associations and the court system and perform volunteer and pro bono service to the community. The Clerk's Office has, for many years, provided the impetus for a "holiday project" sponsored annually by the Appellate Division. Needy families in the Rochester area, soldiers serving overseas and The Open Door Mission have, in recent years, been the beneficiaries of this effort.